For the past 3 ½ years, I was walking 4 miles a day, 5 days a week. During the last 18 months, I was noticing that I was barely maintaining my weight. In fact, the reality was… I was gaining weight. So I knew I had to do something MORE but didn’t know what! Then one evening over the summer, my husband & I got together with some friends we hadn’t seen in awhile. One of them was Jeanne Daubner. All I can say is …WOW… what a transformation. I asked her what she was doing. She started talking about this place called Inspirational Life, boot camps, 5:15am workouts. From that evening on, I kept thinking about what Jeanne had said about her fitness program. Being in a bathing suit this summer was so uncomfortable. I had never been at this weight. I was physically miserable. Jeanne’s words kept running through my head over and over again. 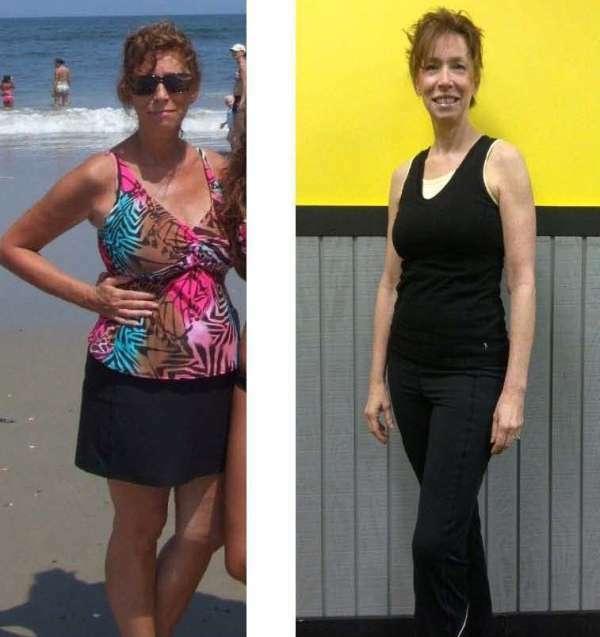 Then Jeanne called to say she was looking to put a team together for a weight loss challenge at INSPIRE Fitness and she knew I was looking for a change in my exercise routine. THIS was it… THIS was my answer to lose some weight and change my exercise routine. So on September 27, 2012, I weighed in for the weight loss challenge and have never looked back. The boot camps, nutritional meetings, learning the importance of journaling and weighing/measuring what I ate, inspirational newsletters & videos, great recipes…these are some of the ways Inspirational Life has helped me reach my goal of losing weight and physically feeling better; but besides the nutritional and physical aspects, Brian and Cathie have help me mentally. They talk about consistency, patience, and setting goals. They’ve taught me that fitness isn’t just about the physical…exercise, losing weight, the dreaded “scale.” It’s also about nutrition, who you surround yourself with, staying positive, asking yourself “Why.” Brian and Cathie’s amazing knowledge, support, and motivation have proven to me that ALL this works. It’s really pretty simple! I look better, feel better, and eat better. I have a more positive attitude (and the funny thing is… I’m already a pretty positive person). It’s a pleasure to walk into a boot camp workout and to truly see all the smiles from the other people in the classes…the positive attitude is contagious. I’ve set goals and reached them and then set more goals. There’s no question in my mind that because of what I’ve learned. I’ve lost over 20 lbs and my life is forever changed.